Apple Officially Opened the License for "Lightning to USB-C" ! On September 7, 2018, the MFi licensee received an official email from Apple. 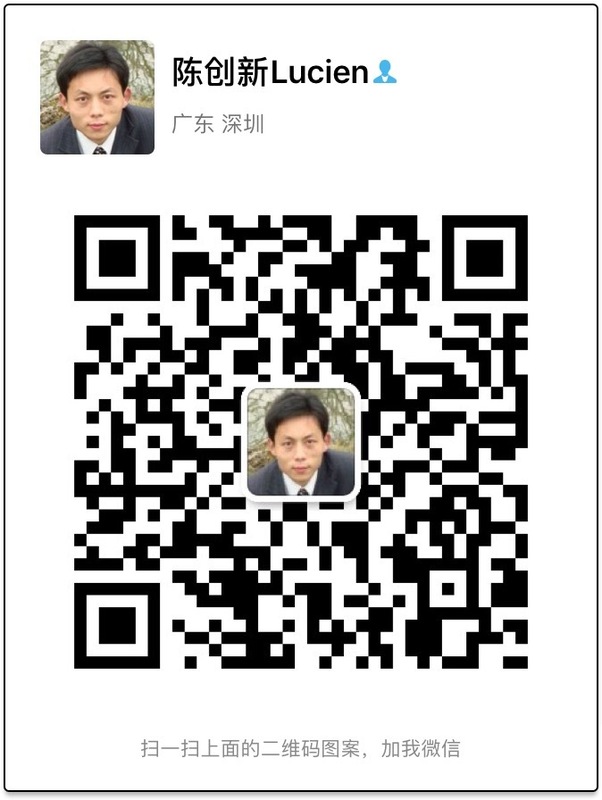 The MFi technical specifications were updated to "Accessory Interface Specification R29" and "Accessory Interface Specification R29 Errata R1". In this technical specification document, Apple has opened the license for "Lightning to USB-C" fast charging cable,which is a business opportunity for MFi companies. 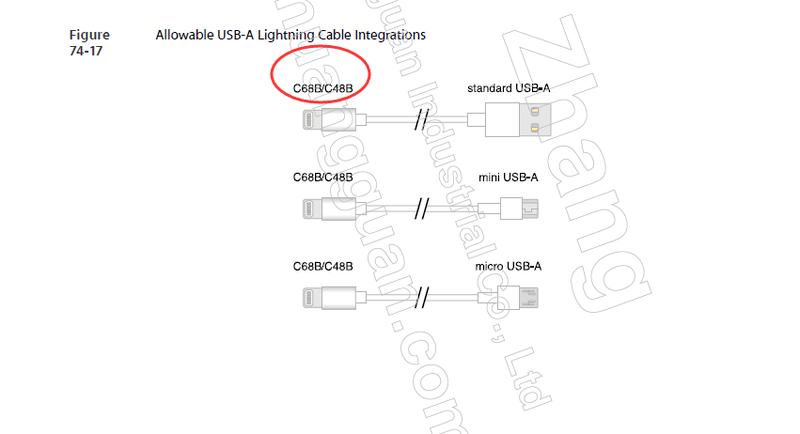 Before that, everyone expressed their opinions on what type of Apple plugs are used for the "Lightning to USB-C" fast charging cable, but the latest R29 file has clearly told us that this cable uses the C91 model connector. 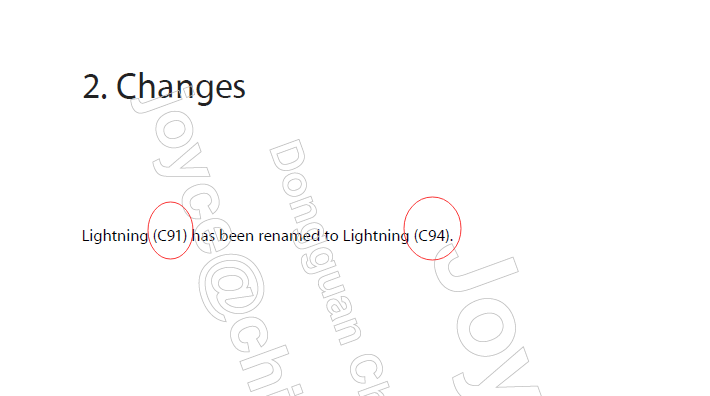 However, please note that in the "Accessory Interface Specification R29 Errata R1" document, Apple has changed the C91 connector to the C94 model connector, so the finally "Lightning to USB-C" fast charging cable use C94 model connector instead of C91 connector. 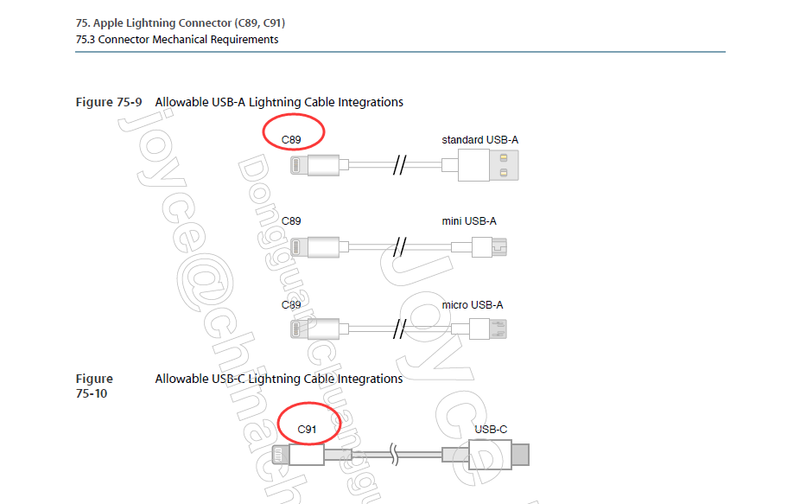 In addition, from the latest R29 and the old R28 file, we will find that the previous "Lighing to USB-A" cable connector model was replaced by C89. Does this mean that the old MFi connector C48 will be discontinued and replaced by the C89 connector?